Winnipeg police have spent much of the day investigating a shooting at a home at 658 Victor Street. At about 8 a.m. Wednesday, officers responded after reports of gunshots in the West End neighbourhood. 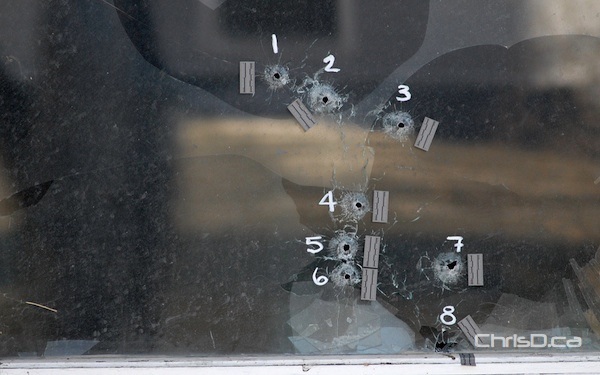 As many as eight bullet holes could be seen in a window at the front of the home. No one was injured in the incident and members of the Major Crimes Unit are investigating.